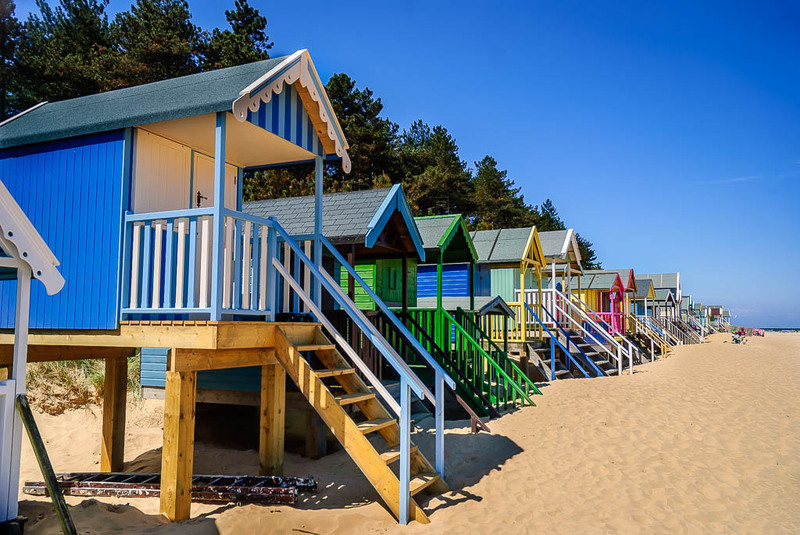 These beach huts are at Wells-next-the-Sea, Norfolk, UK – The sandy beach, the pine forests, the sand dunes – when I think of “holiday”, this is it! I have been coming here since I was small (though not so much in recent years) – at low tide the beach is huge because there is only a gentle slope – the downside is that the tide can come in very fast. There are many beach huts here (I don’t know how many exactly), must run for a mile, at least, along the bottom of the dunes – most are in good condition and appear to have been painted recently – as you can see from the picture, they are very colourful! The photograph was taken on a very quick visit at the beginning of June – My son was entered into a Kul Sool Won tournament in Kings Lynn, so the whole family went – Saturday was taken up with the tournament and a wander around Kings Lynn. On the Sunday, before heading back home, we went over to Wells-next-the-Sea – the weather was quite windy at times, but very sunny and clear – It is a about a mile to walk from Wells, where we had parked the car, out to the beach – there is a long causeway, walking along the side of the channel that boats use to reach the harbour back in the town – many memories came back to me while walking to the beach – many things have changed, of course, there are floating pontoons next to the harbour now and a whole area at the end of the channel dedicated to the vessels needed to service the windfarms in the sea off the Norfolk coast.